The Karl Popper collection (KPS) manages the books, correspondence, manuscripts and other writings acquired from the philosopher’s estate in 1995, and makes them available for academic analysis. With effect from 1 October 2008, the rights to the works and correspondence of Karl Popper were transferred to the Alpen-Adria-Universität Klagenfurt/Karl Popper collection by the previous estate managers (The Estate of Karl Popper, Raymond and Melitta Mew, South Croydon, England). Since then, the Karl Popper collection has been affiliated with the Karl Popper copyright office. All questions relating to translations and new editions of Karl Popper’s works must be referred to this office.  The management and usage of the Karl Popper collection is subject to the provisions of the regulations for use of the Klagenfurt University Library, which is published as Part F of the Statutes of Alpen-Adria-Universität Klagenfurt in the university bulletin. All usage agreements must be discussed in advance with Mag.a Nicole Sager. Theory of science, social philosophy, logic, probability theory, life sciences. With thanks to David Miller for the fitting addition of literature on logic and from the Spanish-speaking world to the bibliography. The entries regarding Persian translations of Karl R. Popper’s works, Persian translations of publications about Popper and published works about Popper by Iranian authors were provided by Dr. Malakeh Shahi Zadeh Anzabi. Lube, Manfred: A quantity of Books … Der Nachlaß von Sir Karl Popper in Klagenfurt. Lube Manfred: Der Nachlaß des Philosophen Karl R. Popper als Sondersammlung in der Universitätsbibliothek Klagenfurt. Lecture: Conference on ‘Cooperation between Austrian and Slovene Libraries’, Maribor, university library, 13/05/2004. Lube, Manfred: Karl R. Popper-Bibliographie 1925–2004. Zellacher, Lydia: 10 Jahre Karl Popper-Sammlung (KPS).